It was a tough day at the Oak Lawn Community Pavilion in Chicago, Illinois. 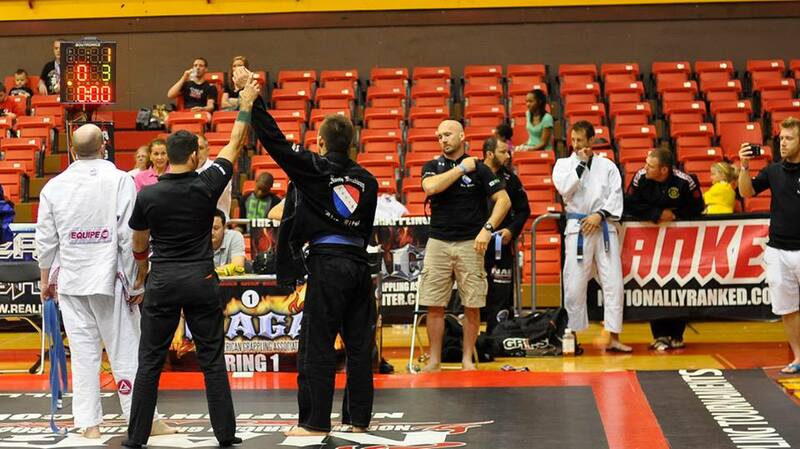 The Tohkon Classic took place on June 7, 2014. Eugene Hamilton and Jay Baker fought in the largest division of the tournament. Both started off well winning their initial matches but they were unable to make it to the quarterfinal. Female phenom Marissa Ardnt fought very well in her category but fell short of medaling. Reigning national champion, Adnan Gutic, did not do as well as predicted. He did not medal in this tournament. Dan Raney was the lone member of Team White Dragon to bring home a medal. 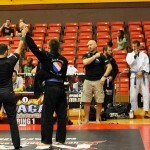 He encountered a tough master’s division and manage to win second place. Photo courtesy of Felix Lanier. 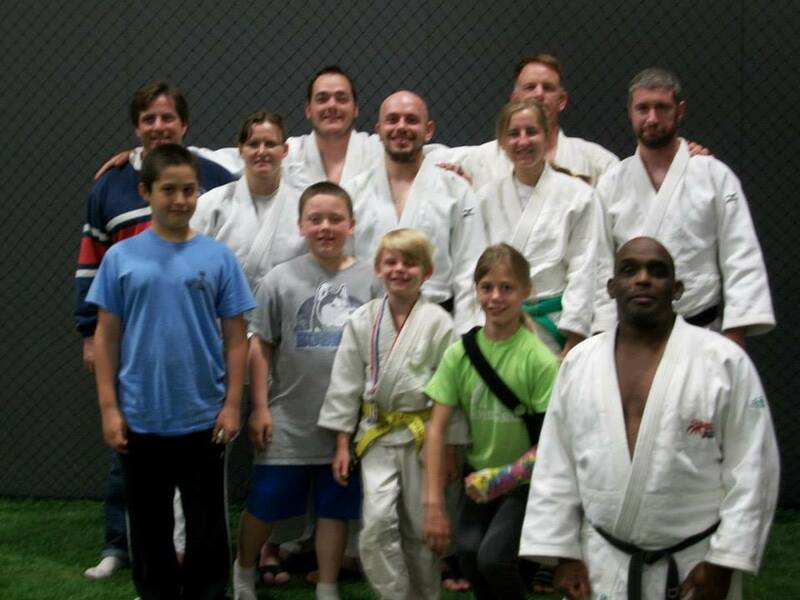 The 30th annual North/South Judo Tournament got underway at the Family Sportplex in Belleville, Illinois on Saturday, May 17,2014. Dan Raney coached the junior and senior squads this year as all members medaled for a second consecutive year. 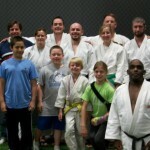 Dan Raney was also selected to the South judo squad in the team competition. In the team competition,The North triumphed over the South team to maintain the rights to the coveted North South team trophy. The juniors saw Devin Busch compete against a stacked weight class and pull out a silver medal. Anthony Darevsky and Sean Butler took bronze in their perspective categories. Korbin McNabb was the junior MVP of tournament taking his first gold of his brief but promising judo career. In the senior division, Anthony Weeks placed second. Jay Baker got his third consecutive gold medal of the year with some solid play. Marissa Arndt followed up her US National’s performance with a gold medal in her division. Bat Unur “The Batman” Erdenebayer won a decisive gold medal in his Team White Dragon debut. In the master’s category, Eugene Hamilton made the best of his master’s debut with a second place finish. Demonn Smith took silver in the super heavyweight weight class. 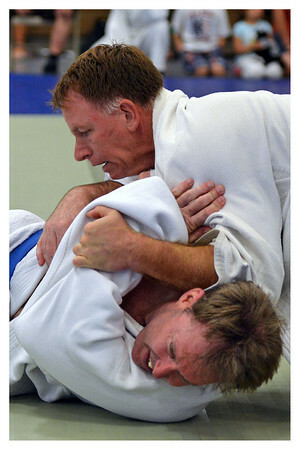 Dan Raney made good use of his submission style judo with a gold medal showing.